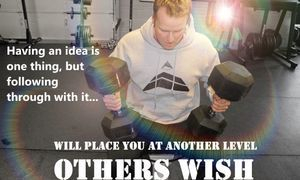 Founder of Going for Greatness (G4G) Rob is a well-known fitness specialist and public speaker throughout Illinois. With over 15+ years as a strength and conditioning coach, consultant, corporate wellness coach and trainer he created the evolution of the lifestyle brand to what we known to be today as G4G. From years of sacrifice, having tremendous passion towards living a high performance lifestyle, education institutions and companies, athletic organizations invest in their assets to maximize their performance to create a competitive advantage. From being a true "entrepreneur," Rob created something from scratch and always took pride in never asking for anything and to get it yourself attitude. Through years of further specialized education in cinematography, photography, health/fitness and witnessing the growth and development of his clients, Going for Greatness (G4G) evolved into what is known today as a lifestyle brand. It's dedicated towards achieving personal and professional excellence. Companies and organization take advantage of Rob's media production program to bring a more innovative and personalized approach towards attracting and further engaging customers and clients. 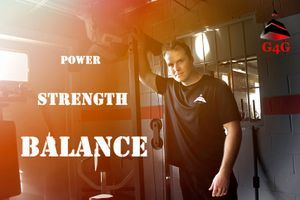 The Going for Greatness (G4G) philosophy of having BALANCE, STRENGTH and POWER allows others to achieve optimal levels of greatness in their lives. 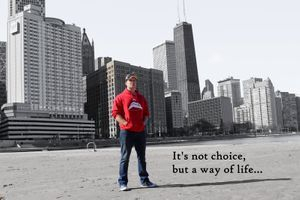 Rob Wienski is a public speaker who shares his unique story that many schools, companies and athletic organizations seen value in and apply to their daily life to truly create impact and achieve levels of success they could've only dreamed of. Looking good feeling great as well as living active healthy and fit isn't a choice, but a lifestyle.